I will be doing a big in-person unveil of it at the Hudson Business Center on 1/17/19-there are limited seats. During this session, you will actually get an electronic tool that will make the following process much easier to conceptualize and use again and again! Please register here if you want to attend.Here are the steps that are included in the system! There are a number of reasons why TIME is one of the great prohibitors of living within one’s purpose. There just never seems to be enough of it to get at the big things that we are dreaming of doing. So, year after year, we let our dreams get dimmer and dimmer. Well, it is time to bring out the bright lights and fully illuminate them again! 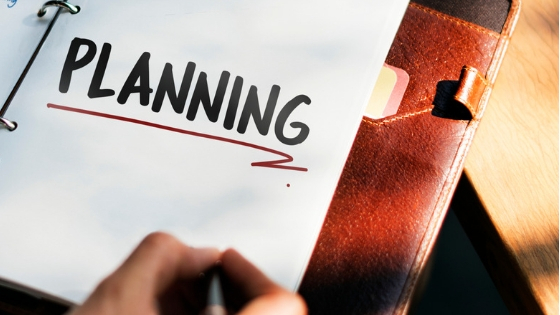 There are essentially six steps in the Purposeful Planning process. Below is a general sense of what happens in each step. This is a crucial step. There has to be an overarching theme for your work. Purpose is something that answers your big WHY. If you are able to have clarity on WHY you are pursuing something it makes it so much easier to figure out what is truly worthy of your time. My Purpose is to shift power to marginalized communities. Knowing that is my aim in life allows me to test everything I am doing. It becomes the door to which all other things flow! If an idea does not support that purpose, then I take it off of my list. So, the first thing that we will do in the session is determine what your Purpose is. Once you have established what your purpose is, then it becomes much easier to establish what your annual goals are going to be. This is one of my favorite things to do each year. I try to stick to between 3-5 goals. (Confession time-sometimes my goals have multiple clauses! Ha!) But I stick to a smaller number because then it is easier for me to remember what I am aiming for. Being able to recall your goals by memory means that you are more likely to stay on track and that you have identified ones that are truly motivating. After figuring out what the fixed schedule is, it is time to go back to those annual goals and look at the next quarter. What is it that you need to do within each of those goals over the next three months in order to move forward? I only look at a quarter at a time. That seems to work best because it allows me to be able to have a plan but still remain nimble. Again, there is a limitation on the number of things you can add. I suggest no more than 5 tasks per annual goal per quarter. Also, this is where your earlier calculations about Purposeful Hustle time becomes very useful. You actually don’t have to guess how much time you have available. When listing your tasks you will also give each one a category (ie. Learning, networking, writing, etc.) and also document how many hours you think you will need over the three months. Our tool automatically calculates how much time each category will require over the quarter and during a model week and then it takes you back to your fixed schedule so you can add in those blocks. The final result? You have a model weekly schedule that you can use to communicate to your team, family and to hold yourself accountable to! 6. 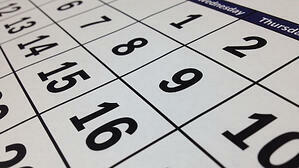 Get Organized: Make Your Plan Operational with a Calendar & Project Planning Tool Having a model schedule is empowering. It shows you how you are actually using your time! But it is just a pretty document if you don’t do the last step which is to translate the tasks and schedule into your daily tools. So, during our session, I will show to use google calendar and Nozbe as tools to keep you on track!These are two things that I could not do without! And after I show you how I use them, you will not be able to either! It sounds complicated, but after you go through it once, it is actually pretty easy to see how things that have eluded you for years can become realistic objectives! I hope to see you all at the session! And I hope that this overview helps you see how to take big Purposeful Hustle ideas and breathe life into them!